Ireland coach Graham Shaw has announced a squad of 26 for warm weather training and a match series to take place in January. The Green Machine will travel to Valencia for warm weather training before taking on Spain, world ranked 14th; in an intense five match series over five days. Shaw has selected an extended panel that includes no fewer than four players currently plying their trade in America, three of whom are uncapped at senior international level. 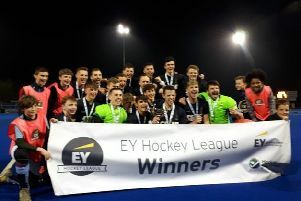 The young squad, with an average age of 23, will be looking to continue their impressive run under Shaw, which saw them cruise to victory in the Eurohockey Championships II in July and earn promotion back to the top division in European hockey. Talking about the selection and upcoming series, Shaw said: “We are very excited about bringing this squad to Valencia, Spain in January. We are a young experienced squad with all our best hockey ahead of us and believe this group of players can have a real impact on world hockey in the coming years. “We will have a few new faces with us for the first time and we are really looking forward to seeing how they go.